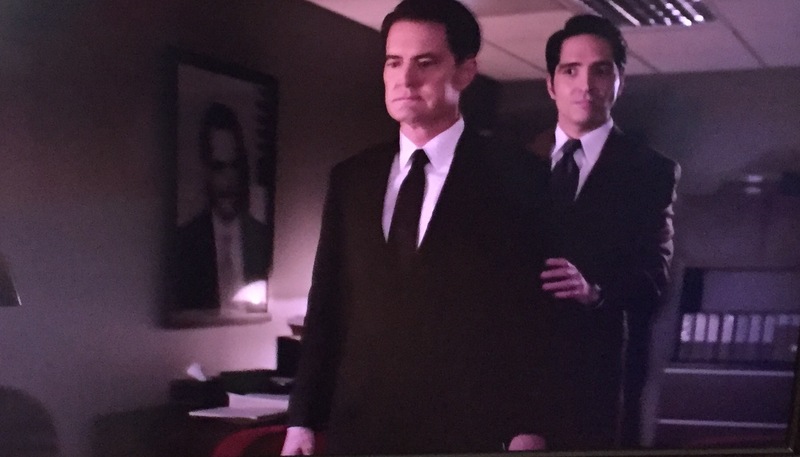 Has anyone posted who is the person's portrait hanging in the office of the Silver Mustang Casino? Never mind. It's Howard Hughes. Aha, in the absence of a part this week, I've been re-watching and I too wondered whose this portrait was. Since seeing Kafka, corn cob and the bomb, and yesterday seeing the post of the FBI office with the bell, I've been looking all over the frames for interesting things, possibly clues. Thanks for the HH update.